The Ohio Nature Blog: Who Are You & Why Are You Taking My Picture? Who Are You & Why Are You Taking My Picture? I downloaded a few more pictures of my photo session of Deer Haven Preserve. I was hoping to share with you an image of a female hairy woodpecker, but I wasn't happy with any of the shots that I got. I was shooting with a low shutter speed. I couldn't get my timing down to photograph her when she wasn't moving. Oh well! 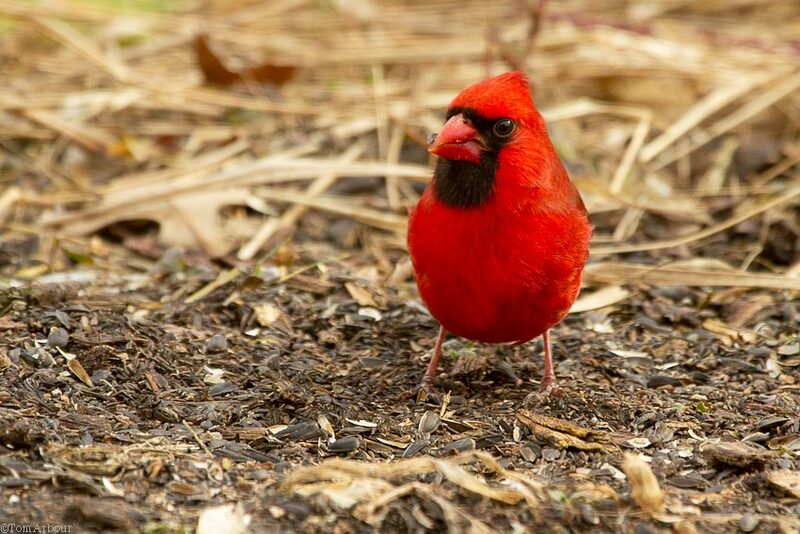 But I did find this gem- A male northern cardinal "caught in the act". THe Cardinal is always a welcome sight. Another great photo - love your headline too!